Mark Weatherford is a Senior Advisor at The Chertoff Group where he works with businesses and organizations around the world by helping create comprehensive and strategic security programs that address the ever-evolving cybersecurity landscape. Mr. Weatherford is a Distinguished Fellow at the Poneman Institute, a member of the CSIS Cyber Policy Task Force for the 45th President, a Founding member of the CyberCalifornia Board of Advisors, and serves on the Government Advisory Council of Palo Alto Networks and the Advisory Boards at Cylance, Coalfire Systems and AlertEnterprise. Prior to joining The Chertoff Group, Mr. Weatherford was appointed by President Obama as the Department of Homeland Security’s first Deputy Under Secretary for Cybersecurity. 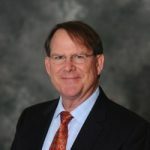 Before joining DHS, Mr. Weatherford was the Vice President and Chief Security Officer at the North American Electric Reliability Corporation (NERC) where he directed the cybersecurity and critical infrastructure protection program and worked with electric utility companies across North America. Prior to NERC, Mr. Weatherford was appointed by Governor Arnold Schwarzenegger to serve as California’s first Chief Information Security Officer and was also the first Chief Information Security Officer for the State of Colorado, where he was appointed by two successive governors. As a former U.S. Navy Cryptologic Officer, Mr. Weatherford led the United States Navy’s Computer Network Defense operations and the Naval Computer Incident Response Team (NAVCIRT). Mr. Weatherford earned a bachelor’s degree from the University of Arizona, a master’s degree from the Naval Postgraduate School and holds the Certified Information Systems Security Professional (CISSP) and Certified Information Security Manager (CISM) certifications. He was awarded SC Magazine’s “CSO of the Year” award in 2010, named one of the “10 Most Influential People in Government Information Security” by GovInfoSecurity in both 2012 and 2013 and was selected for the 2013 CSO Compass Award for leadership achievements in the security community.